My coffee experience began with my parents drinking coffee with an occasional Sunday breakfast. When we went to my grandma's beach house she always had coffee brewing in the morning. Using this knowledge I started college and for six years I drank drip coffee from Wegmans (amazing store!). I used Folgers, Dunkin' Donuts, Starbucks, and 8 O'clock Coffee. When Chris was my roommate he brought a big 12 cup auto-drip, and I adopted it. When he left the apartment I begged him to let me keep it. I knew how to make the best coffee so that it didn't have a burnt taste. I had to switch it off right after the brew and dump the coffee grinds. Otherwise it accumulated an acidic, harsh, and burnt taste. My coffee world was flipped upside-down in 2012. I met Steve Rhinehart and he introduced me to coffee that was different, very different from what I called coffee. What I liked about Steve is that he really appreciated the art of coffee brewing and he had 10 different ways to brew coffee. He explained what he did and why he did it. After a couple months I developed a love for freshly roasted AND freshly ground coffee. Now I can't drink any of the coffee that I used to make. The bean's aren't fresh and the flavor profiles from various regions are missing. @SteveRhinehart on Twitter, he's a coffee expert. Making freshly ground coffee is an art. There are a lot of variables to play with, just like when you make iPhone apps. Temperature, water, timing, coffee/water ratio, coffee grind, coffee roast, and coffee origin. If you want to the best coffee that's better than Starbucks you're going to have to invest some time and money. Look for a local coffee bar that roasts it's own beans and keeps them sealed with roast dates. Otherwise there are a lot of online companies that will ship coffee to you. Currently I buy coffee from @JoeBeanRoasters and love it. The staff is super knowledgable and have helped me figure out how to make better coffee. Order some of their beans and try it for yourself. 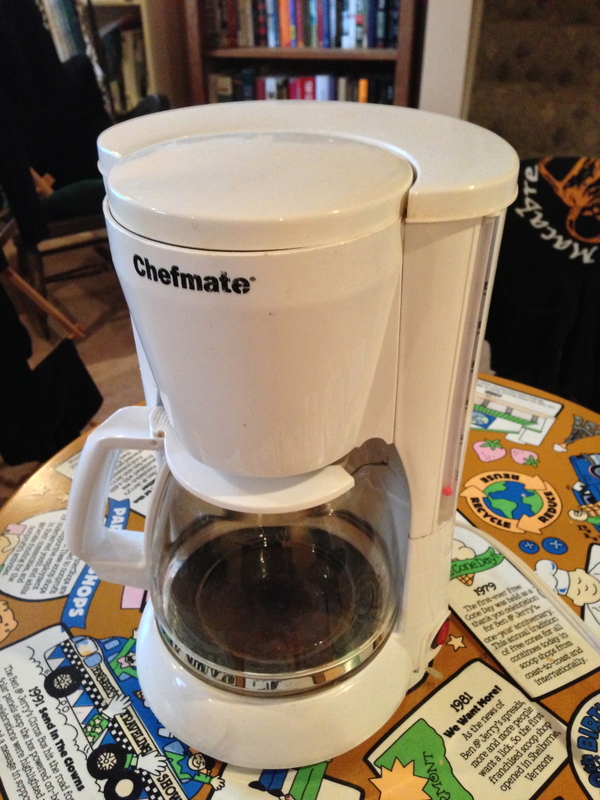 To brew great coffee you'll need to buy some equipment. I highly recommend a pour-over brew "funnel" and a high quality burr grinder. Don't use blade grinders because they don't give you a controllable or consistent grind size that's required for smooth coffee. I love my Chemex and Hario V60 pour overs, and I don't travel without them. 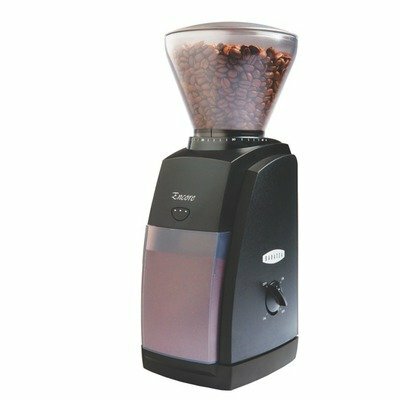 You'll want to invest in something that can accurately turn beans into fine or coarse particles of coffee. It's important to have an even grind size to keep the brew time consistent and extraction even. I started with a Bodum Bistro (slick design) and then moved to the Baratza Virtuoso (best grinder). 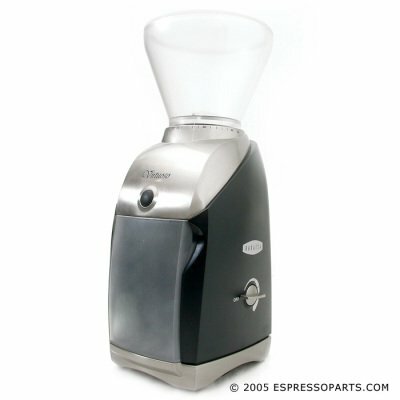 If you want to save money, I would get the Baratza Encore instead of the Bodum Bistro. My coffee advisors (Joe Bean) say the burrs (grinders) are the same between the Encore and Virtuoso Baratza models. 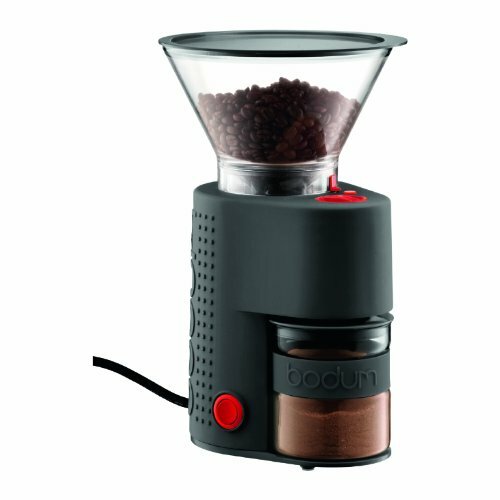 The Baratza burrs are better than the Bodum and give far more grind control if you make espresso, french press, pour over, or drip coffee. If you want to make consistent coffee, you'll need to measure accurately and quickly. Cheap scales are ok, but if you're pouring you'll want instant feedback. 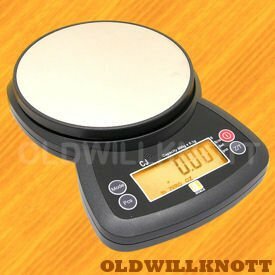 My Jennings CJ-4000 is super responsive to weight changes over my OXO white scale. 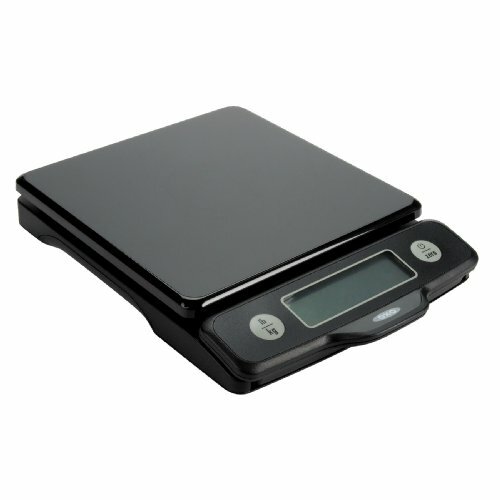 My recommendation is to spend a little more and get a better scale. Speed gives you a shorter feedback loop as your pour your coffee, which helps you control the flow. I didn't realize how much speed helps until I compared slow scales to fast scales. Accuracy helps. The CJ-4000 has accuracy on the 0.5 gram, whereas the OXO is accurate to 1 gram (whole numbers). 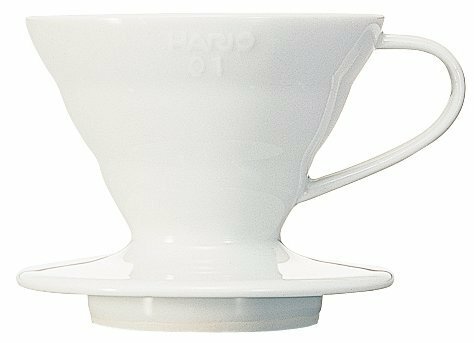 A long gooseneck spout is essential if you want to control temperature and the pour speed during a pour-over brew. 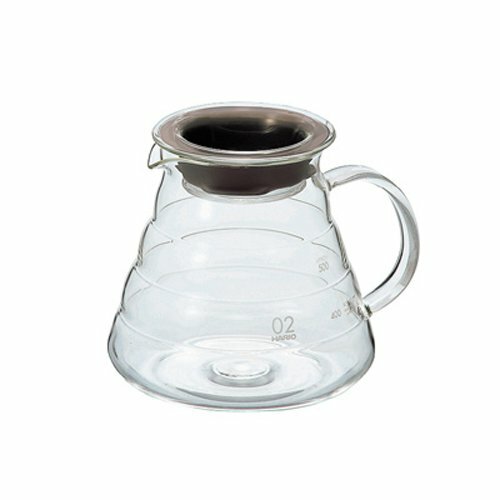 (Pyrex loses heat too fast during a 3-4 minute pour because of the thickness and open top) I've modified my Hario Kettle by drilling the center steam holes bigger to fit a thermometer. 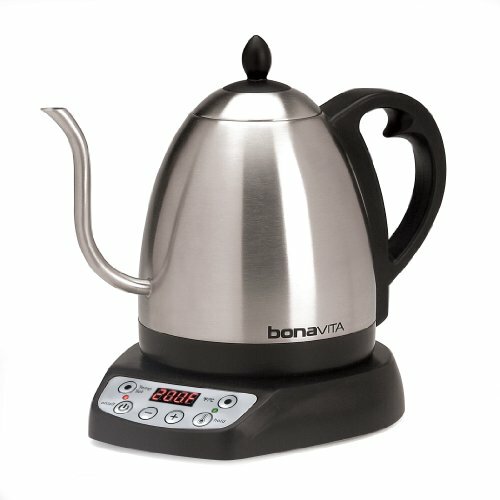 If you want easier temperature control, try an all-in-one Bonavita gooseneck kettle and heater. I love both of these pour overs. Using them I can craft an excellent, smooth cup of coffee each morning. I learned these pour-over recipes from Joe Bean Coffee Roasters and added my own notes. I use both the Chemex and the Hario V-60 depending on the day. The Chemex is larger and I like to use it when I entertain guests because it can brew more coffee than the more personal Hario v60 size 01. 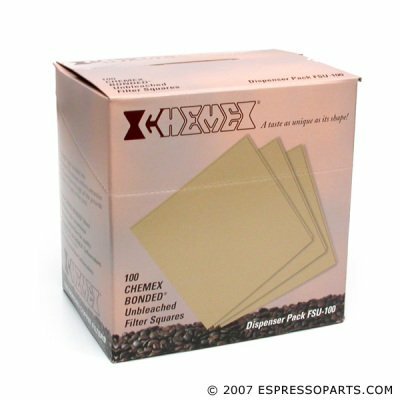 The paper filters are thicker and create a unique taste. 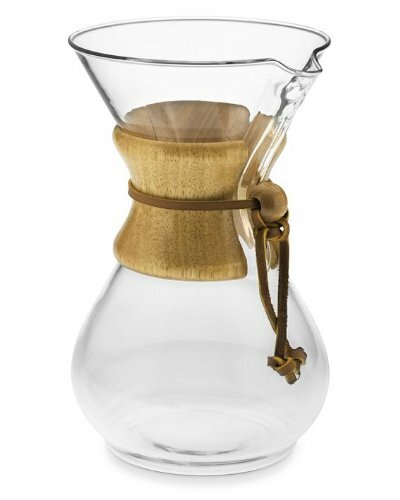 I find that the Chemex is more forgiving and easier to make a good cup of coffee than the V60, so it's better for beginners. I half this recipe when just making coffee for myself. 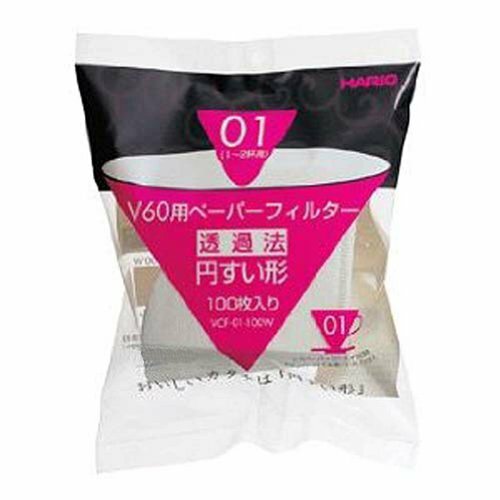 I started my artisan brewing using the Hario V60 Size 01 with the recommendation of Joe Bean Coffee Roasters. 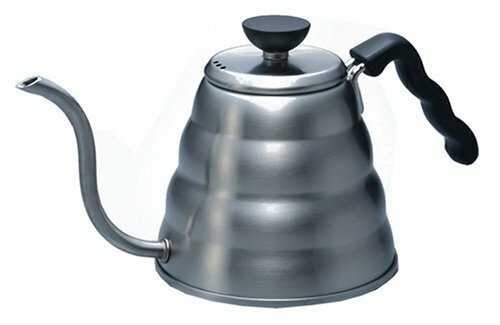 The moment I brewed in it, I knew that I wasn't going back to French Press. The filter makes the coffee smooth and prevents the coffee from over-extracting if you let it sit like the French Press. Learn more about coffee by subscribing to my newsletter on iPhone development and related topics.